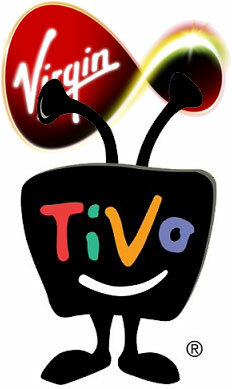 I'm getting my Virgin Media Tivo box installed today. Looking forward to it. PVR on steroids. Update #1: The VM guy turned up at 8:30am. This was his first Tivo install. It started well enough - he plugged in the new Tivo and after half an hour of calls and putting in numbers said it would take an additional hour to load all the software. Apparently it downloads it from a server in the States. Ho hum. Update #2 (9:35am): The software download got to 34% and it flicked to the EPG but with channel errors. Odd. Luckily the engineer had the wherewithal to not turn the box off (thereby perhaps leaving the box in an unbootable state) but to navigate back to the network menu and see that the software was still downloading. It was at 43% by that point. Update #3 (9:45am): The software got to 52% and the Tivo rebooted but that locked up. All seven of the front panel lights were on but no picture. Dead box basically. So we had to get another Tivo from the van. Update #5 (10:25am): OK, well that was quick (too quick?) It says it's finished. Hmmm. The guy then clicked on 'Connect To Virgin Media' and lo and behold - another twenty minutes of updates ahead. Update #6 (10:55am): All done. Channels work, HD works, on-demand works, YouTube works. Happy, happy.